Unpackaged; loose, in large numbers, amounts, or volume. smart alternative to traditional grocery shopping, bulk foods offer quality products with time and money saving advantages that the consumer can benefit from immediately. Any substance taken into the body for providing nourishment. However, factors such as satisfying social needs, achieving psychological ends, and satisfying hunger, more than nutritional needs, govern the selection and consumption of foods. Foods can provide all of the essential nutrients needed for normal functioning of the human body when selected carefully. In this context, food is necessary to provide energy, to provide structural components for building and repairing body tissues, and to regulate body processes. Process of cooking by dry heat, especially in an oven. Baked products include bread, cookies, pies, and pastries. Ingredients used in baking include flour, water, leavening agents (baker's yeast, baking soda, baking powder), shortening (fats, oils), eggs, milk, and sugars. These are mixed together to create dough or batter, which is then transferred to a pan or sheet and heated. Leavening agents produce gas that becomes trapped in the dough, causing it to rise. Shortening makes dough more easily workable and the final product more tender. Egg whites are used to produce a light, airy texture, and yolks contribute color, flavor, and texture. Milk is used for moistening and flavoring and sugars for sweetening and aiding fermentation. These seeded pods of various legumes are among the oldest foods known to humanity, dating back at least 4,000 years. They come in two broad categories-fresh and dried. Some beans, such as the black-eyed pea, lima bean and cranberry bean can be found in both fresh and dried forms. Fresh beans are commercially available in their fresh form and are generally sold in their pods. The three most commonly available fresh-bean varieties are the green bean (eaten with its shell or pod), and the lima bean and fava (or broad) bean, both of which are eaten shelled. Store fresh beans in a tightly covered container in the refrigerator for up to 5 days; after that, both color and flavor begin to diminish. If cooked properly, fresh beans contain a fair amount of vitamins A and C; lima beans are also a good source of protein. Dried beans are available prepackaged or in bulk. Some of the more popular dried beans are the black bean, chickpea, kidney bean, pink bean and pinto bean. Dried beans must usually be soaked in water for several hours or overnight to rehydrate them before cooking. Beans labeled "quick-cooking" have been presoaked and redried before packaging; they require no presoaking and take considerably less time to prepare. The texture of these "quick" beans, however, is not as firm to the bite as regular dried beans. Store dried beans in an airtight container for up to a year. Gas and beans: The flatulence caused by dried beans is created by oligosaccharides, complex sugars that-because they're indigestible by normal stomach enzymes-proceed into the lower intestine where they're eaten (and fermented) by friendly bacteria, the result of which is gas (see digestive enzymes). Dried beans are rich in protein, calcium, phosphorus and iron. Their high protein content, along with the fact that they're easily grown and stored, make them a staple throughout many parts of the world where animal protein is scarce or expensive. Noun: Any of a number of various confections-soft and hard-composed mainly of sugar with the addition of flavoring ingredients and fillings such as chocolate, nuts, peanut butter, nougat, fruits and so on. Sugar syrup is the foundation for most candies, the concentration of the mixture depending upon its temperature, which can either be checked by a candy thermometer or by a series of cold-water tests. (See Candy making Cold-Water Tests, page 713). Candy may come in tiny bits, small one- or two-bite pieces, or in the form of a candy "bar," containing several bites. Candy bars usually have a chocolate coating. So-called "nutritious" candy bars typically contain honey instead of sugar, and often substitute carob for chocolate. Verb: To sugar-coat various fruits, flowers and plants such as cherries, pineapple, citrus rinds, angelica, ginger, chestnuts, violets, miniature rose petals and mint leaves. Candying food not only preserves it, but also retains its color, shape and flavor. The candying process usually includes dipping or cooking the food in several boiling sugar syrups of increasing degrees of density. After the candied fruit air-dries, it is sometimes dipped in granulated sugar. A method of preserving food by hermetically sealing it in glass containers. The use of special canning jars and lids is essential for successful canning. The canning process involves quickly heating jars of food to high temperatures, thereby retaining maximum color, flavor and nutrients while destroying the microorganisms that cause spoilage. During processing, the food reaches temperatures of 212°F (with the boiling-water-bath method) to 240°F (using a pressure canner). Any air in the container is forced out between the jar and lid. A vacuum is created as the food cools and contracts, sucking the lid tightly to the jar. This airtight seal is vital to prevent invasion by microorganisms. Refer to a general cookbook for specific instructions on canning foods. A breakfast cereal is a food product designed especially to be marketed to consumers as a ready-made breakfast food. Though cereal foods such as porridge are a staple of daily meals in many countries around the world, in wealthier, consumer-conscious nations such as the United States, entire industries have been created dedicated to the sale of specialized products, such as breakfast cereals. Breakfast cereals are generally eaten cold and mixed with milk and fruit as opposed to hot cereals like oatmeal, grits, etc. Breakfast cereals are marketed to all ages. For adults, companies such as Kellogg's, Quaker Oats, Post, Nestlé and General Mills promote their products for the health benefits gained from eating oat-based and high fiber cereals. Nevertheless, the vast majority of breakfast cereal sold is marketed to young children. Cereal manufacturers have been criticized for manufacturing breakfast cereals with a heavy sugar content aimed at children. Sugar-laden breakfast cereals have been extremely popular with children for decades, and many adults also buy them out of nostalgia (also because they enjoy the taste). Manufacturers often fortify breakfast cereals with various vitamins to allay concerns that their products are not very nutritious. The word "chocolate" comes from the Aztec xocolatl, meaning "bitter water." Indeed, the unsweetened drink the Aztecs made of pounded cocoa beans and spices was probably extremely bitter. Bitterness notwithstanding, the Aztec king Montezuma so believed that chocolate was an aphrodisiac that he purportedly drank 50 golden goblets of it each day. Chocolate comes from the tropical cocoa bean, Theobroma ("food of the gods") cacao. After the beans are removed from their pods they're fermented, dried, roasted and cracked, separating the nibs (which contain an average of 54 percent cocoa butter) from the shells. The nibs are ground to extract some of the cocoa butter (a natural vegetable fat), leaving a thick, dark brown paste called chocolate liquor. Next, the chocolate liquor receives an initial refining. If additional cocoa butter is extracted from the chocolate liquor, the solid result is ground to produce unsweetened cocoa powder. If other ingredients are added (such as milk powder, sugar, etc. ), the chocolate is refined again. The final step for most chocolate is conching, a process by which huge machines with rotating blades slowly blend the heated chocolate liquor, ridding it of residual moisture and volatile acids. The conching continues for 12 to 72 hours (depending on the type and quality of chocolate) while small amounts of cocoa butter and sometimes lecithin are added to give chocolate its voluptuously smooth texture. Unadulterated chocolate is marketed as unsweetened chocolate, also called baking or bitter chocolate. U.S. Standards require that unsweetened chocolate contain between 50 and 58 percent cocoa butter. The addition of sugar, lecithin and vanilla (or vanillin) creates, depending on the amount of sugar added, bittersweet, semisweet or sweet chocolate. Bittersweet chocolate must contain at least 35 percent chocolate liquor; semisweet and sweet can contain from 15 to 35 percent. Adding dry milk to sweetened chocolate creates milk chocolate, which must contain at least 12 percent milk solids and 10 percent chocolate liquor. Though bittersweet, semisweet and sweet chocolate may often be used interchangeably in some recipes with little textural change, milk chocolate-because of the milk protein-cannot. Liquid chocolate, developed especially for baking, is found on the supermarket shelf alongside other chocolates. It's unsweetened, comes in individual 1-ounce packages, and is convenient because it requires no melting. However, because it's made with vegetable oil rather than cocoa butter, it doesn't deliver either the same texture or flavor as regular unsweetened chocolate. Covertures is a term describing professional-quality coating chocolate that is extremely glossy. It usually contains a minimum of 32 percent cocoa butter, which enables it to form a much thinner shell than ordinary confectionery coating. Covertures is usually only found in specialty candy-making shops. White chocolate is not true chocolate because it contains no chocolate liquor and, likewise, very little chocolate flavor. Instead, it's usually a mixture of sugar, cocoa butter, milk solids, lecithin and vanilla. Read the label: if cocoa butter isn't mentioned, the product is confectionery (or summer) coating, not white chocolate. Beware of products labeled artificial chocolate or chocolate- flavored. They are, just as the label states, not the real thing and both flavor and texture confirm that fact. Chocolate comes in many forms, from 1-ounce squares to 1⁄2-inch chunks to chips ranging in size from 1⁄2 to 1⁄8 inch in diameter. Many chocolate chunks and chips come in flavors including milk, semisweet, mint-flavored and white chocolate. Chocolate should be stored, tightly wrapped, in a cool (60° to 70°F), dry place. If stored at warm temperatures, chocolate will develop a pale gray "bloom" (surface streaks and blotches), caused when the cocoa butter rises to the surface. In damp conditions, chocolate can form tiny gray sugar crystals on the surface. In either case, the chocolate can still be used, with flavor and texture affected only slightly. Under ideal conditions, dark chocolate can be stored 10 years. However, because of the milk solids in both milk chocolate and white chocolate, they shouldn't be stored for longer than 9 months. Because all chocolate scorches easily - which completely ruins the flavor - it should be melted slowly over low heat. One method is to place the chocolate in the top of a double boiler over simmering water. Remove the top of the pan from the heat when the chocolate is a little more than halfway melted and stir until completely smooth. Another method is to place the chocolate in a microwave-safe bowl and, in a 650- to 700-watt microwave oven, heat at 50 percent power. Four ounces of chocolate will take about 3 minutes, but the timing will vary depending on the oven and the type and amount of chocolate. Though chocolate can be melted with liquid (at least 1⁄4 cup liquid per 6 ounces chocolate), a single drop of moisture in melted chocolate will cause it to seize (clump and harden). This problem can sometimes be corrected if vegetable oil is immediately stirred into the chocolate at a ratio of about 1 tablespoon oil to 6 ounces chocolate. Slowly remelt the mixture and stir until once again smooth. A distributor/wholesaler is an individual, corporation, or partnership buying goods in bulk quantities from a manufacturer at a price close to the cost of manufacturing them and reselling them at a higher price to other dealers, or to various retailers, but not directly to the public. Dried fruit is fruit that has been dried, either naturally or through use of a machine, such as a dehydrator. Raisins, plums or prunes and dates are examples of popular dried fruits. Other fruits that may be dried include apples, apricots, bananas, cranberries, figs, mangoes, pawpaw, peaches, pineapples, pear tomatoes, and pears. Dried fruit has a long shelf life and therefore can provide a good alternate to fresh fruit, allowing out of season fruits to be available. Drying is a good way to preserve fruit in the absence of refrigeration. Dried fruit is often added to baking mixes and breakfast cereals. Dried fruit is being increasingly seen as a healthy snack and since the public is prepared to pay more for snacks than staples, the quality is improving all the time. Due to the water loss experienced during dehydration, which may be as high as 7 parts out of eight, dried fruit has a stronger, more intense flavor. However the drying process also destroys most of the Vitamin C in the food, so that the dried version of the fruit has only a fraction of the levels of Vitamin C that would exist in the fruit if it were fresh. Commercially prepared dried fruit may contain sulfur dioxide which can trigger asthma in sensitive individuals, though dried fruit without sulfur dioxide is also available, particularly in health stores. The sulphur is added to "fix" the color of the product. "Organic" dried fruit is produced without sulphur which results in dark fruit and the flavor is much more characteristic of the fresh fruit. The color of some fruits can also be "fixed" to some extent, with minimal impact on flavor, by treating the freshly cut fruit with a preparation rich in Vitamin C (e.g., a mixture of water and lemon juice) for a few minutes prior to drying. A gluten free diet is a diet completely free of ingredients derived from gluten-containing cereals: wheat (including Kamut and spelt), barley, rye, and triticale. The suitability of oats in the gluten-free diet is uncertain; consequently, people who have medically been directed to follow a gluten-free diet also avoid oats. This diet must be strictly followed by sufferers of celiac disease and dermatitis herpetiformis. Some medical practitioners also believe the gluten-free diet may be helpful for persons with multiple sclerosis and other autoimmune disorders, but this has not yet been conclusively proven through medical studies. Several grains and starch sources are considered acceptable for a gluten-free diet. The most frequently used are maize (corn), potatoes, rice, and tapioca (derived from cassava). Other grains and starch sources generally considered suitable for gluten-free diets include amaranth, arrowroot, millet, montina, lupine, quinoa, sorghum (jowar), sweet potato, taro, teff, and yam. Various types of bean, soybean, and nut flours are sometimes used in gluten-free products to add protein and dietary fiber. In spite of its name, buckwheat is not related to wheat; pure buckwheat is considered acceptable for a gluten-free diet, although many commercial buckwheat products are actually mixtures of wheat and buckwheat flours, and thus not acceptable. Special care must be taken when checking ingredients lists as gluten may come in forms such as vegetable proteins and starch, modified food starch (when derived from wheat instead of maize), maltodextrin, malt flavoring, and glucose syrup. Many common ingredients contain wheat or barley derivatives. Many foods will contain gluten, but not be indicated on the ingredients, because they are not in the formulation of the product, but in the preparation of it. One example of this is the dusting of the conveyor belts in the production facilities to prevent the foods from sticking during processing. The food itself might not contain gluten, but there is gluten in the ingested product. The legal definition of the phrase "gluten-free" varies from country to country. Current research suggests that for persons with celiac disease the maximum safe level of gluten in a finished product is probably less than 0.02% (200 parts per million) and possibly as little as 0.002% (20 parts per million). Since ordinary wheat flour contains approximately 12% gluten, even a tiny amount of wheat flour can cross-contaminate a gluten-free product. Therefore, considerable care must be taken to prevent cross-contamination in both commercial and home food preparation. This diet rules out all ordinary breads, pastas, and many convenience foods. Many countries do not require labeling of gluten containing products, but in several countries new product labeling standards are enforcing the labeling of gluten-containing ingredients. Various gluten-free bakery and pasta products are available from specialty retailers. An ingredient is something that forms part of a mixture (in a generalsense). For example, in cooking, a recipe will specify which ingredients to prepare a specific dish. Many commercial products contain a secret ingredient that is purported to make them better than competing products. In the pharmaceutical industry, an active ingredient is that part of a formulation that yields the effect required by the customer. National laws usually require prepared food products to display a list of ingredients, and certain additives. Jam is a type of fruit spread made by boiling fruit with sugar to make an unfiltered jelly. Jam is often spread on bread and also as a culinary sweetener, for example in yogurt. In the United States, jam that has been filtered to remove pulp and make it clear is called jelly (and is not called jam). In the United Kingdom and elsewhere, filtered jams are still called jams, the word "jelly" usually being reserved for a sweetened gelatine dessert. (An exception is bramble jelly, a seedless blackberry jam.) Jam that has whole pieces of fruit is sometimes called preserves, or conserves if it has nuts as well. Jam with citrus fruit peel is called marmalade. The use of cane sugar to make jam and jelly can be traced back to the 16th century when the Spanish came to the West Indies, where they preserved fruit, but the Greek technique of preserving quinces by boiling them in honey was included in the Roman cookery book associated with the name Apicius. The proportion of sugar and fruit varies according to the type of fruit and its ripeness, but a rough starting point is equal weights of each. When the mixture reaches a temperature of 104 °C, the acid and the pectin in the fruit react with the sugar, and the jam will set on cooling. However, most cooks work by trial and error, bringing the mixture to a "fast rolling boil", watching to see if the seething mass changes texture, and dropping tiny samples on a plate to see if they run. How easily a jam sets depends on the pectin content of the fruit. Some fruits, such as gooseberries, redcurrants, blackcurrants, citrus fruits, apples and raspberries, set very well; others, such as strawberries and ripe blackberries, need to have pectin added. There are proprietary pectin products on the market, and most industrially-produced jams use them. Home jam-makers sometimes rely on adding a pectin-rich fruit to a poor setter; hence the popular old favorite blackberry and apple. Other tricks include extracting juice from redcurrants or gooseberries. Making jam at home used to be common, but the practice is declining, and the accessories, particularly the cellophane covers for jam jars, are becoming more difficult to find in some locations. In the European Union, the jam directive (Council Directive 79/693/EEC, 24 July 1979) set minimum standards for the amount of "fruit" in jam, but the definition of fruit was expanded to take account of several unusual kinds of jam made in the EU. For this purpose, "fruit" is considered to include many things that are not ordinarily classified as fruits: "tomatoes, the edible parts of rhubarb stalks, carrots, sweet potatoes, cucumbers, pumpkins, melons, and water-melons". This definition continues to apply in the new directive, Council Directive 2001/113/EC (20 December 2001). jelly is a sweet or savory food gel, usually made through the addition of gelatin or pectin to edible liquids. Sweet jellies include pectin-based fruit jam or gelatin desserts such as Jell-O and blancmange. Savory jellies include aspic or plain gelatine. Vegetarians and Vegans make jellies using agar, which is made from seaweed as opposed to animal collagen-based gelatin. In the United States, the usual distinction between "jelly" and jam is that the latter contains visible pulp, seeds, or pieces of fruit, whereas the former does not. The traditional process of making jelly called for the cooked ingredients to be put into a cloth bag. The liquid that drained through the bag without squeezing could be made into a transparent Jelly: the remaining thick contents in the bag could be made into Jam. Gelatine desserts are not ordinarily referred to as "jelly" in the US, and it is rare (though not unheard of) to use the term for savory foods of any description. Mayhaw jelly is a delicacy in parts of the American South. A person, an enterprise, or an entity that manufactures something. The natural food movement is a term for a style of eating that became popular in America and Western Europe during the 1970s. Its principles include avoiding artificial ingredients and 'processed' foods such as refined sugar and white flour. Adherents of the movement also tend to choose organically grown fruits and vegetables and are often, though not always, vegetarians. Such a diet is generally followed because it is considered to be more healthful than other types of eating (though some nutritionists dispute this), to have a lighter impact on the environment and to avoid supporting large corporations. The natural food movement is particularly associated with members of the counterculture. Food produced or sold according to the ideals of the natural food movement are known colloquially as 'health food,' although many people also use that term in a broader sense to mean any type of healthy eating. Natural-food philosophy overlaps with the organic movement, vegetarianism, whole food, macrobiotics, and herbalism, although it is not synonymous with any of these. Although in modern times a minority has largely only practiced the natural food diet, it has frequently influenced the way the wider population eats. Some of the foods that the movement helped introduce to America include yogurt, tofu, carob, brown rice and herbal tea. There are many shops, restaurants, and cookbooks catering to the natural food diet. Until recently, natural food stores tended to be independent ventures or co-ops. However, the growth of chains like the Whole Foods Market has taken the selling of natural foods into the mainstream. Any of various dry fruits that generally consist of an edible kernel enclosed in a shell that can range from medium-hard, thin and brittle to woody and tough. Botanically speaking, some foods we know as nuts are actually seeds (such as the brazil nut) or legumes (like the peanut). Among the more popular of the other "nuts" are almonds, cashews, chestnuts, macadamias, pecans, pistachios, pine nuts and walnuts. Most nuts are sold both shelled and unshelled. Shelled nuts come in many forms including blanched or not, whole, halved, chopped, sliced or minced. Additionally, shelled nuts come raw, dry-roasted, oil-roasted, with or without salt, smoked, candied and with various flavorings such as jalapeño and garlic. They're sold in plastic bags and boxes, and vacuum-packed in cans and jars. When buying unshelled nuts in bulk, choose those that are heavy for their size, with solid shells sans cracks or holes. The nut's kernel should not be loose enough to rattle when shaken. Shelled nuts should be plump, crisp and uniform in color and size. In general, nuts should be purchased as fresh as possible. Rancid nutmeats will ruin whatever food they flavor. To be sure that nuts are fresh-whether shelled or unshelled-buy them from a supplier with rapid turnover. Because of their high fat content, rancidity is always a hazard with nuts. For that reason they should be stored airtight in a cool place. Shelled nuts can be refrigerated in this manner up to 4 months, frozen up to 6 months. As a general rule (and depending on their freshness at the time of storage), unshelled nuts will keep about twice as long as shelled. Popular nut by-products include meal or flour (usually found in natural food stores) and nut butter and oils (the most popular being almond, hazelnut, peanut and walnut oils). Nuts are high in calcium, folic acid, magnesium, potassium, vitamin E and fiber. Some scientific studies have concluded that a daily portion of just 1 ounce of nuts rich in monounsaturated fat (see fats and oils) can reduce the risk of heart disease by up to 10 percent. The nuts highest in monounsaturated fat are almonds, Brazil nuts, hazelnuts, macadamia nuts, pecans, pistachios and walnuts. And, although 1 ounce of nuts delivers about 180 calories and 17 fat grams, 50 to 80 percent of that fat is monounsaturated (the "good" fat that helps reduce the level of LDL-the "bad" cholesterol). Nuts are wonderful simply eaten out of hand as well as used in a wide variety of sweet and savory dishes for meals from breakfast to dinner. The flavor of most nuts benefits from a light toasting, either on stovetop or in the oven. Organic Food is, in general, food produced without the use of artificial pesticides, synthetic fertilizers and in many definitions genetically modified organisms (GMOs). In common usage, the word organic can apply equally to store-bought food products, food from a home garden where no synthetic inputs are used, and even food gathered or hunted in the wild. However, the term organic is increasingly associated with certified organic foods, which are produced and labeled according to strictly regulated standards. In many countries, including the United States, Japan and in the European Union, certification is a matter of legislation, and commercial use of the word organic, outside of the certification framework, is illegal. The specifics of certification are the subject of wide debate and disagreement among organic producers and consumers; at present, there is no universally accepted definition of organic food. Organic foods can be either fresh or processed, based on production methods, availability and consumer perception. Fresh food is seasonal and perishable. Fresh produce — vegetables and fruits — is the most available type of organic food, and is closely associated with organic farming. Farmers' markets, farm stands, specialty food stores, and community-supported agriculture (CSA) projects are just a few places where you can buy organic food. Unprocessed animal products — organic meat, eggs, dairy — are less common. Prices are significantly higher than for conventional food, and availability is lower. For fresh food, "organic" usually means produced without extensive use of synthetic chemicals (e.g. fertilizers, pesticides, antibiotics, hormones), substantially free of genetically modified organisms, and often, but not necessarily, locally grown. Processed food accounts for most of the items in a supermarket. Little of it is organic, and organic prices are often high. Despite high prices, supermarkets mainly purchase organic processed foods. Most processed organics comes from large food conglomerates, as producing and marketing products like canned goods, frozen vegetables, prepared dishes and other convenience foods is beyond the scope of small organic producers. Processed organic food usually contains only (or at least a certain specified percentage of) organic ingredients and no artificial food additives, and is often processed with fewer artificial methods, materials and conditions (e.g. no chemical ripening, no food irradiation). However, a recent amendment to the US organic legislation has allowed some synthetic processing agents classified as "organic,” so the exact composition of certified organic processed food may vary according to regional regulations. The National Organic Program (run by the USDA) is in charge of the legal definition of organic in the United States and does organic certification. It administers the Organic Seal to products and producers that meet strict requirements. Definitions of organic food vary. Organics can be difficult to explain by empirical measurement. Food industry research over the last 50 years has focused on developing chemical agriculture and modern food processing. Also, organics is concerned in large part with what NOT to do -- "as much as possible, let Nature do its thing" -- rather than in devising precise formulas for organic production. A strictly rules-based definition of organic farming and organic food, consisting of approved inputs and practices, created and maintained by regulatory agencies, is inevitably subject to "exceptions" and to special interest pressures to modify the rules. As organics become "whatever the rules say it is,” the line between organic and conventional food can get blurred. Early organic consumers looked for chemical-free, fresh, or minimally processed food, and they had to buy directly from growers: Know your farmer, know your food. Organic food at first comprised mainly fresh vegetables. Personal definitions of what constituted "organic" were through first-hand experience: talking to farmers and seeing farm conditions and farming activities. Small farms could grow vegetables (and raise livestock) using organic farming practices, with or without certification, and this was more or less something the individual consumer could monitor. As consumer demand for organic foods continues to increase, high volume sales through mass outlets, typically supermarkets, is rapidly replacing the direct farmer connection. For supermarket consumers, food production is not easily observable, and product labeling, like "certified organic,” is relied on. For assurance, government regulations and third-party inspectors are used. 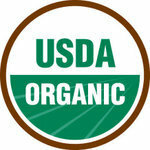 The official seal of USDA certified organic foods. In the United States, agricultural products that claim to be "organic" must adhere to the requirements of the Organic Food Production Act of 1990 (found in 7 U.S.C.A. § 6501-22) and the regulations (found in 7 C.F.R. Part 205) promulgated by the USDA through the National Organic Program ("NOP") under this act. A USDA Organic seal identifies products with at least 95% organic ingredients, as defined by the National Organic Program. Unfortunately, there are no natural models for preserving food the way it's found in supermarkets. Food with a long shelf life is the cornerstone of the food industry, providing most of the revenue and profits. In wealthier locales, an impressive array of technologies is used to make food last longer: home refrigerators and freezers at the consumer end, and industrial and chemical practices applied along the food production chain, from seed to field to fridge or table. In general, organic standards cover this entire process, specifying what is an "organic" ingredient or practice. However, as there is little natural reference for preparing, for example, a precooked, frozen dinner, a "certified organic" label may be hard to understand. The main ingredients are one thing, the processes and additives used are quite another. Thus, in developed nations: most of what is in supermarkets today can never be called "organic", in the broadest, "all-natural", fresh or minimally processed sense. The idea is not new, and whole foods have long been part of the health food diet. However, if demand for organics intensifies, agribusiness interests dictate taking as much control as possible of the definition of "organic food,” by including production practices that facilitate food preservation, in order to maintain the existing industry infrastructure. Packaging is the enclosing of a physical object, typically a product that requires protection from tampering. Labeling refers to any written or graphic communications on the packaging or on a separate but associated label. 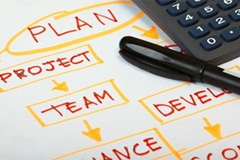 Physical protection of the object - The objects enclosed in the package may require to be protected from, among other things, damage caused by physical force, or rain, or heat, or sunlight, or cold, or pressure, or airborne contamination, or automated handling devices, or any combination of one or more of these. Agglomeration - Small objects are typically grouped together in one package for reasons of efficiency. For example, a single box of 1000 pencils requires less physical handling than 1000 single pencils. Alternatively, bulk commodities (such as salt) can be divided into packages that are a more suitable size for individual households. Information transmission - Information on how to use, transport, or dispose of the product is often contained on the package or label. An example is pharmaceutical products, where governments require some types of information. Marketing - The packaging and labels can be used by marketers to encourage potential buyers to purchase the product. Package design has been an important and constantly evolving phenomenon for dozens of years. Reducing theft - Some packages are made larger than they need to be so as to make theft more difficult. An example is software packages that typically contain only a single disc even though they are large enough to contain dozens of discs. These packages may also be deliberately difficult to open, to hamper thieves from removing their contents without drawing notice. Packages also provide opportunities to include anti-theft devices, such as dye-packs or electronic article surveillance tags, that can be activated or detected by devices at exit points and require specialized tools to deactivate. Using packaging in this way is a common tactic for loss prevention. This category covers establishments primarily engaged in pickling and brining fruits and vegetables and in manufacturing salad dressings, vegetable relishes, sauces, and seasonings. Establishments primarily engaged in manufacturing catsup and similar tomato sauces are classified in SIC 2033: Canned Fruits, Vegetables, Preserves, Jams, and Jellies, and those packing purchased pickles and olives are classified in wholesale or retail trade. Establishments primarily engaged in manufacturing dry salad dressing and dry sauce mixes are classified in SIC 2099: Food Preparations, Not Elsewhere Classified. A snack food is seen in Western culture as a type of food not meant to be eaten as a main meal of the day (breakfast, lunch, supper). Rather, the food is intended as a snack: something to temporarily tide a person's hunger, provide a brief supply of energy for the body, or something to be eaten for enjoyment of the taste. Snack foods are designed to be less perishable, more durable, and more appealing than natural foods. They often contain substantial amounts of sweeteners, preservatives, and appealing ingredients such as chocolate, peanuts, and specially designed flavors (such as flavored potato chips). Foods manufactured primarily as snack foods are often classified as junk food: they have little or no nutritional value, and are not seen as contributing towards general health and nutrition. The snack food industry in market-driven societies such as the United States generates billions of dollars in revenue each year. The market for snack foods is enormous, and a number of large corporations are constantly struggling to capture larger shares of the snack food market. Consequently, heavy promotions are used to convince consumers to buy snack foods. Snack foods are advertised far more than regular nutritional foods (such as fruit, vegetables, meat, dairy products), and the flashiest TV commercials and advertising campaigns are often designed to sell snack foods. With growing concerns for nutrition, diet, weight control and general health, some people are making a conscious effort to eat more healthy, natural snacks such as fruit (fresh or dried), vegetables (carrot sticks), nuts and cereal grains (granola, granola bars, rice cakes). Liquid food in which different kinds of solid food have been cooked, e.g., meat, fish, fowl, vegetables, cereals, or fruit. Many soups are peculiar to certain localities, e.g., the pot-au-feu of France, the borscht of Russia, the mutton broth of Scotland, the minestrone of Italy, and the chowders of various seacoast places. Broth is a thin soup of meat or shellfish liquor, sometimes with cereals added, as in barley broth. Clear soups, made from a rich meat stock, include consommé (beef, veal, or fowl) and bouillon (beef or chicken). A clear soup with finely shredded vegetables added is a julienne soup. Thick soups include vegetable soups made with stock and vegetables (as in pot-au-feu) or with milk and flour (cream soups) or by cooking fish and vegetables in water as for a chowder. A puree differs from a cream soup in that it is thickened with pulp, usually of a vegetable; sometimes, particularly when made with fish, it is called a bisque. Gumbo is either vegetable or meat soup thickened with okra. Stock, the basis of a great many soups, is made by placing lean meat, bones, fowl, fish, or vegetables in cold water, simmering in a covered pot, skimming, straining, and removing the fat. Bones supply marrow and gelatin. The bones of old animals are much richer in marrow and gelatin than those of young ones. Stock is either white or brown; for white, fowl or veal is used; for brown, beef and beef bones or beef combined with veal are used. Jellied soups, served as appetizers in hot weather, may be made from stock or from strained vegetable juices with the addition of gelatin. Gazpacho, the cold soup of Spain, is made of cucumbers, tomatoes, onions, peppers, and seasonings in a base of tomato juice. Soups vary widely as to dietary value. The clear, delicately seasoned ones are important as appetizers and appetite stimulants, while the more substantial ones, like chowders, form, with the addition of bread, a one-dish meal. Pungent or aromatic seasonings obtained from the bark, buds, fruit, roots, seeds or stems of various plants and trees (whereas herbs usually come from the leafy part of a plant). Spices were prized long before recorded history. Though they've always been used to flavor food and drink, throughout the eons spices have also been favored for a plethora of other uses including crowning emperors, making medicines and perfumes, religious ceremonies and as burial accoutrements for the wealthy. Over 3,000 years ago the Arabs monopolized the spice trade, bringing their rare cargo back from India and the Orient by arduous camel caravans. During the Middle Ages the demand for spices was so high that they became rich commodities-a pound of mace could buy three sheep and the same amount of peppercorns could buy freedom for a serf. By that time Venice had a tight hold on Western commerce and controlled the incredibly lucrative European spice trade. That Venetian monopoly was an important catalyst for the expeditions that resulted in the discovery of the New World. Today, the United States is the world's major spice buyer. Among the more popular spices are allspice, cardamom, cinnamon, cloves, ginger, mace, nutmeg, paprika, pepper, saffron, and turmeric. Spices are also sold in blends, such as curry powder and spice parisienne. Many spices are available in both whole and ground forms. Ground spices quickly lose their aroma and flavor, so it's wise to buy them in small quantities. Whole spices can be ground as needed. Store spices in airtight containers in a cool, dark place for no more than 6 months. Spices are used to enhance a wide variety of food, both sweet and savory. They should be used sparingly so they don't overpower the foods being seasoned. Wholesalers frequently physically assemble, sort and grade goods in large lots, break bulk, repack and redistribute in smaller lots, for example pharmaceuticals; store, refrigerate, deliver and install goods, engage in sales promotion for their customers and label design.